Since 1962, 24HR Home Comfort Services is your best choice for repair, installation, and service in homes and buildings just like yours in the Wisconsin and Northern Illinois. We take special pride in the craftsmen we train and employ--a fact you'll see in their reviews below. Its also noticeable immediately in the attitude and integrity our technicians bring to your job site. Our entire company works hard to make your experience with us hassle-free and enjoyable. You can also be assured that 24HR HCS stands behind the work we do as well as comply with all local codes. This is why, as you can see by the map and reviews below, we are rated so highly for Furnace Repair and Air Conditioner Repair in Reedsburg WI. Call us today at (608) 868-6411! We are 24HR Home Comfort Services,Your Home Comfort Champions! Wonderful technician--Rick arrived on time. He didn't mind answering all my questions. I've had your service for several years and was a little worried about a new technician. Rick was such a nice man and gave me several helpful hints regarding my equipment. I am very pleased. I love your compNY ns the service you provide. Very good service. He was a "good" early. Explained items in an easy to understand manner. Great service. Great and friendly technician. The technician arrived about 15 minutes early and was very courteous and friendly. He completed his job quickly and accurately. A wonderfully awesome person and company representative. Travis did a very good job! Annual maintenance on Carrier air conditioner. Annual maintenance on air conditioner, found minor issue with furnace blower capacitor. Annual maintenance on Carrier air conditioner, 2 year old system. Annual Rheem air conditioner maintenance. Annual maintenance on Lennox air conditioner. Install Rheem Air conditioner and Furnace. Security Blanket annual service on Luxaire furnace. Weil Mc Clain Boiler maintenance. Carrier furnace maintenance. Wayne signed up for Security Blanket. Congratulations Wayne! Annual maintenance on coleman furnace. 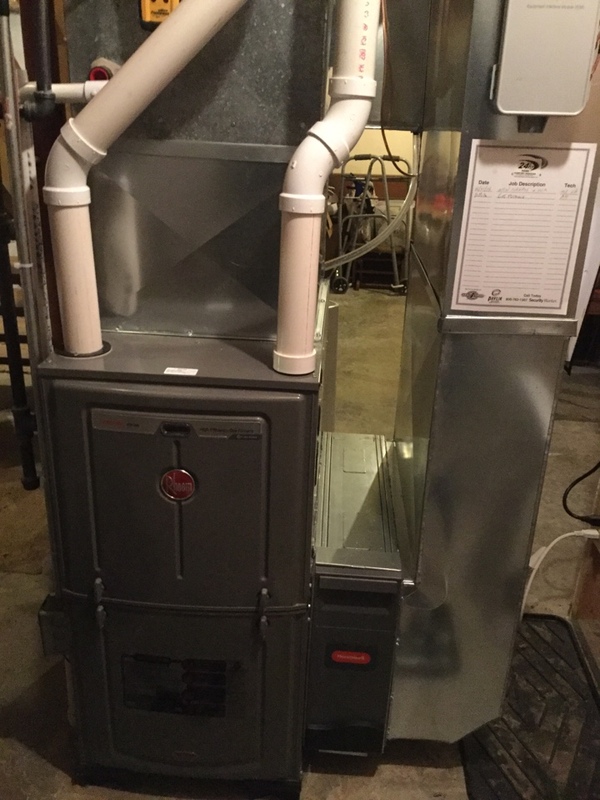 Annual maintenance on mobile home furnace.